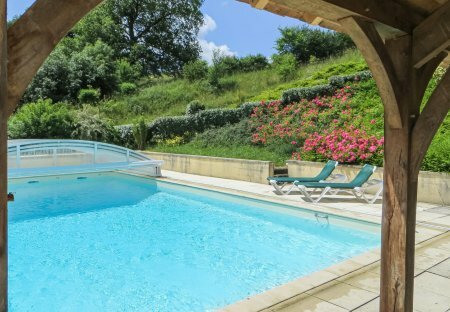 Rent villas in Domfront-en-Champagne, France with swimming pools. 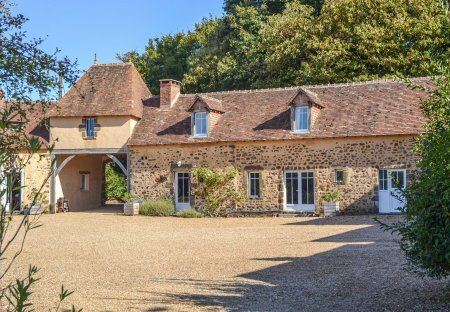 This well presented holiday barn conversion has extensive gardens with lawns, well maintained flowerbeds and magnificent views. The swimming pool with security cover.